the shop owner in Amir-Kabir Bazar in Tehran closed their shops, meanwhile, some merchants in Sepahsalar Bazar also have gone to strike, Poor and Low-income families and those supporting loved ones with disabilities have been hit hard by the inflation. 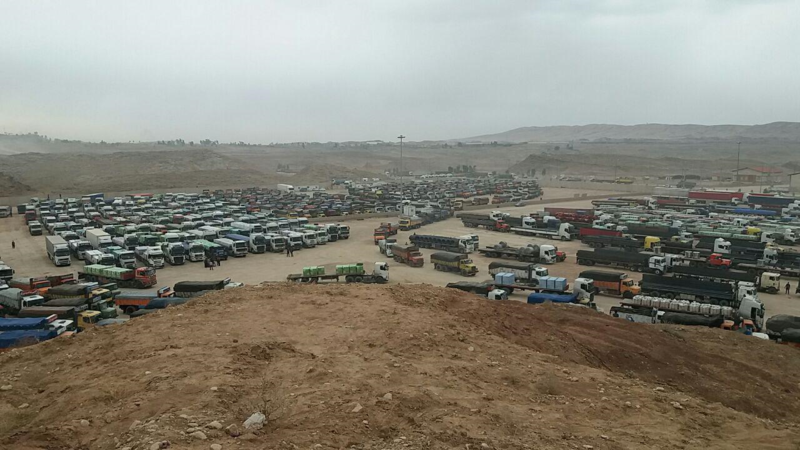 One merchant said: when, huge Iranian wealth is being directed away from the people's pocket toward fueling the regime regional ambitions in Syria, Iraq, Lebanon, and Yemen, as well as its human rights abuses and corruption by the high official Authorities, then The price hikes and severe inflation, as well as the economic instability, will restore and therefore the authorities resort to demonstration such as today to divert the attention of the people by chanting slogan against the U.S. 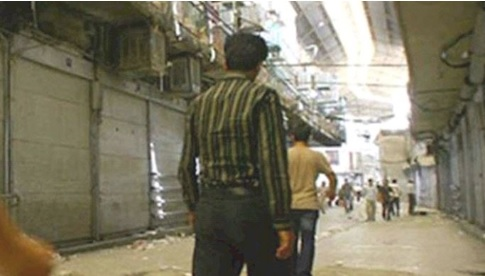 In Tehran's Charsoogh Bazar The strike was met with severe government suppression, the regime secret service. deployed the plain cloth agent of with portable, radio transceiver to prevent any strike. The strike has also spread to Kurdistan, until now, the main bazaar in the Saghez and Baneh has partly been shut down. 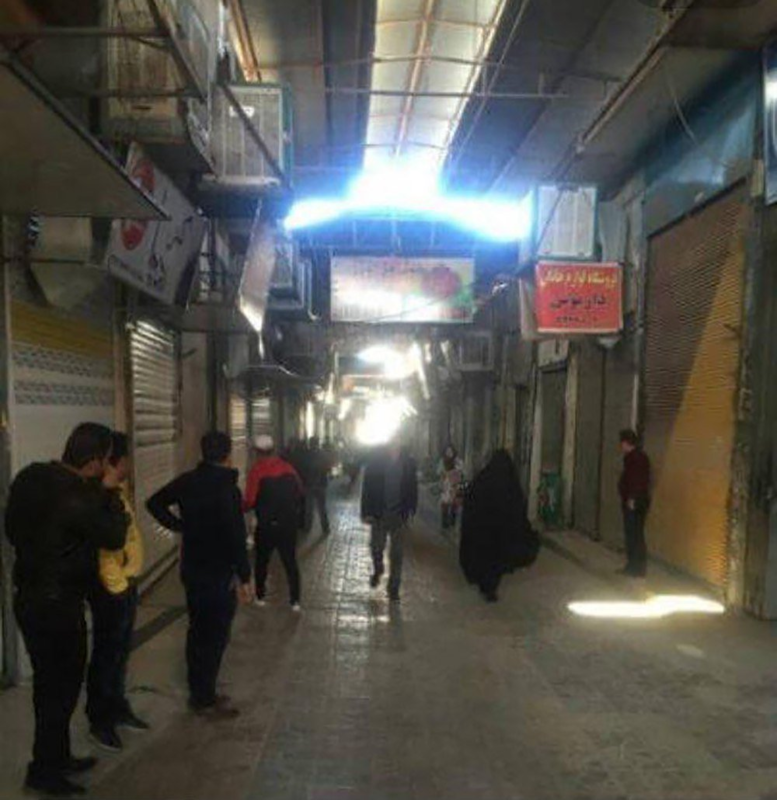 Bazaar merchants, who are fed up with the regime's oppression and tyranny, are protesting against the increase in foreign exchange rates, high prices of goods, inflation, unprecedented recession in the bazaar, and the growing level of poverty. These shop-owners have joined the truck-drivers' strike, which started five days ago. They have announced that they will continue their strike until all their demands are met. In her tweet on Nov 5, 2018, Mrs. Maryam Rajavi the president-elect of the National Council of Resistance Said Nationwide uprisings against the mullahs’ regime are expanding. Hail to the merchants and shop owners of Bazaar, the truckers, the teachers, and freedom-loving students and youth who have shaken the pillars of mullahs’ oppressive rule with their protests and strikes.